Mary Koumaros, 90, of Weirton, W.Va., passed away peacefully, at her home, on Sunday October 22, 2017, surrounded by her loving family. Born on January 15, 1927, in Yorkville, Ohio, Mary was a daughter of the late Demos and Pauline Kocaninos. She was also preceded in death by her husband, Thomas Koumaros, on July 14, 1998; and her brother Alex Korvin. 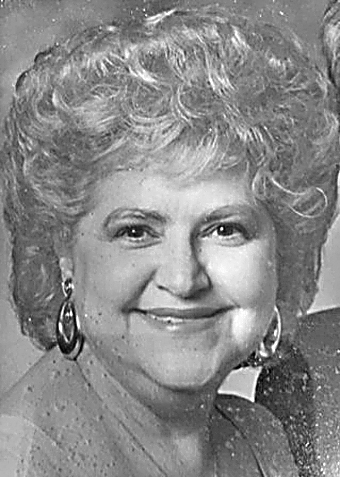 Mary and her late husband Tom were the original proprietors of Koumaros CPA, Esquire Cleaners in Weirton and Steubenville and the Greenery Restaurant in Steubenville. In her free time, Mary was passionate about cooking, and creating specialty traditional dinners for all to enjoy. She especially loved baking for her beloved church at their Greek food festivals. She loved passing down recipes to carry on her family’s traditions. Mary was an active member of the All Saints Greek Orthodox Church in Weirton, W.Va., the Daughters of Penelope and the Philoptohos Society. She is survived by her two daughters, Paula Koumaros Lettieri and her husband, Nick, of Las Vegas, Nevada, and Georgann Koumaros and her husband, Alan Buddemeyer, of McMurray, Pa.; a brother, John Kocovinos and his wife, Joann, of Baltimore Md. ; a granddaughter, Nicole Lettieri Becker and her husband, Randy, and their little daughter, Alivia Becker and a great-grandson on the way. Visitation will be Wednesday 4-8 p.m. at the Greco Hertnick Funeral Home, 3219 Main Street, Weirton. Additional visitation will be Thursday 11 a.m. until time of funeral services at noon at the All Saints Greek Orthodox Church, Weirton. Fr. Nick Halkins will preside. Entombment will follow at Union Cemetery in Steubenville, Ohio. Mary Koumaros, a woman of style, tradition and strong family values.